Restore your old knife blades! 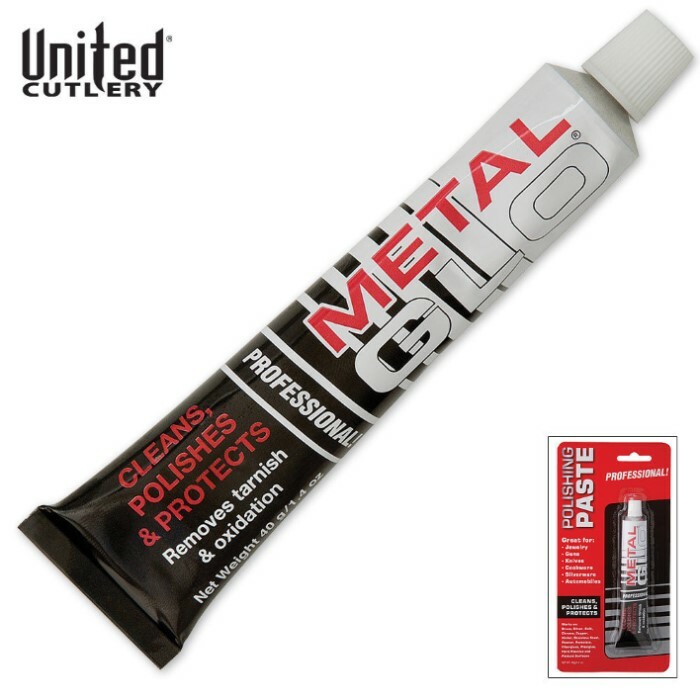 Premium quality polishing paste for your cleaning and polishing needs on any metal surface. 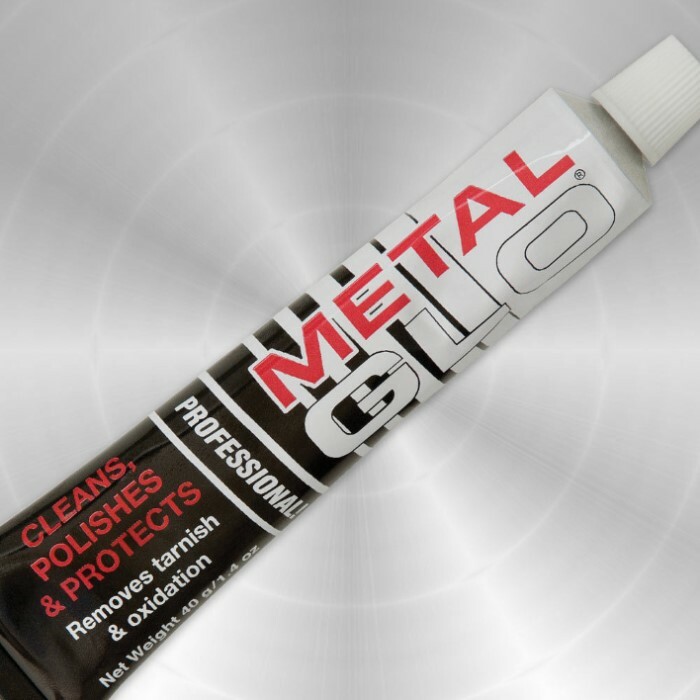 Can be used to polish stainless or carbon steel blades, brass, gold, silver, chrome, copper and many other hard surfaces. 1.4 ounces. In addition to cleaning and shinning, its supposed to leave a protective coat. If that's right, then that should eliminate the need for light oiling..
Metal Glo is the Best. I have a Scottish sword for my family clan.I use Metal Glo to clean it and it works great. I trust it completely. Try it. You'll See. Recently purchased a used Kit Rae sword, when it arrived the blade was so tarnished some spots almost looked black. Purchased metal glo on the recommendation of Kit Rae web site, Because blade was so dirty I had to apply 3 times but after that blade was back to mirror finish! I was pleasantly surprised, My only warning is if you are a serious collector is buy more than one tube save yourself some time because your going to want all you blades to look this good. Excellent product, you will not be disappointed. I bought a tube of this and it works great! However, I have only used it on brass, Schrade locking blade knives and for my brass frame cap and ball pistols. Shooting black powder dulls the brass frames quickly but Metal Glo, with little effort, shines the brass up like a mirror finish and the same with my brass frame lock back knives tarnished from their leather holsters. Just a little dab will do you and that's the truth-trust me, I don't lie except only to my wife about not buying any more knives. Clean, shiny metal? Yup. Definitively does its job. Well it made my swords and knifes shiney, but i swear I'm high from the fumes. Strong scent, will have to have fan on next time I use it. What is there too say? It makes things shiney, it works. If you need to make something more shiney then by this.